Gym membership is quite expensive and you also need to wait in line for using a popular machine. Moreover, it is unhygienic since other people after a gruelling session of exercise leave their sweat on the equipment. Your legs are the foundation of your body. They not only provide you with stability but also help to provide a proper shape to your physique. So, if you are a fitness enthusiast then you must always understand that it is equally essential to building your leg muscles along with your upper body. 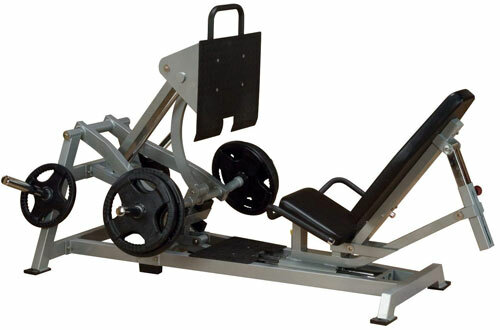 If you are thinking of developing your leg muscles then there is nothing better than leg press machines. It develops your thigh and cuff muscles equally thereby strengthening your legs. Interested in buying a leg press machine? Go through our list to pick the best and make your “leg days” fruitful. To keep your muscles in their perfect shape and have constant growth after a certain period of time gets difficult. You need to perform exercises with heavy weights. 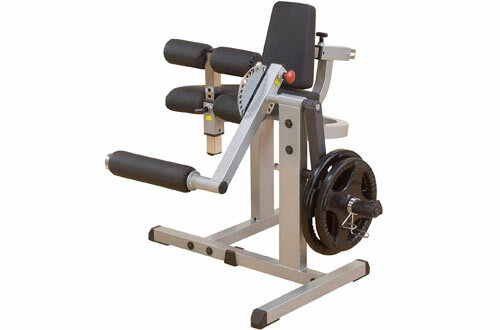 With this marvellous machine from TDS, you get a great workout and quickly beef up your muscles. It has 4 wheels and each one is rated at 750 pounds. So you get a lot of weight to work with and feel the burn on your quads like never before. 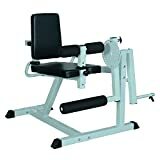 Having contoured padding as well as deck plate made of solid steel, the compact leg press machine is adjustable. Further, it is capable of carrying bars weighing up to 1000 lbs. The frame is made of high strength 4-inch by 2-inch steel tubes. Shoulder pads are stitched very well to take a lot of abuse. Now with this machine, you can properly tone your leg muscles at the luxury and hygiene of your own home. 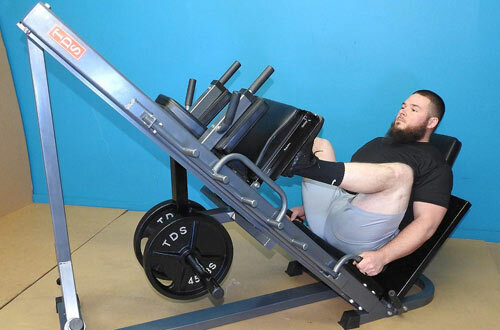 With the unique leg press machine design, you can change between exercises without switching your position. This doesn’t only save time but also lets you maintain proper flow. With the sundial adjuster on this incredible machine, you can also increase or decrease your motion range. This helps you customise it according to your body type. Thus, you can reap the most benefits in the shortest amount of time. Everyone has a different build and different body type. So same dimensions would only benefit a few while leaving the rest. To solve that problem both the thigh support and backrest are adjustable. So your family members can adjust them according to your specifications to support your body in a static position. 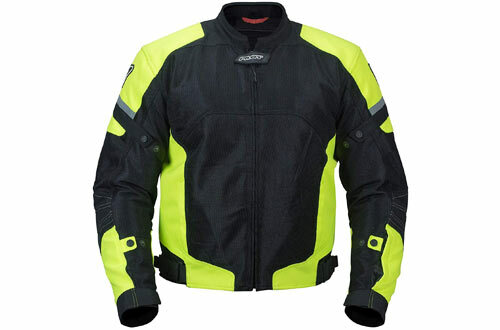 Both the back and seat are adequately padded so that you feel the burn only where you intend to. 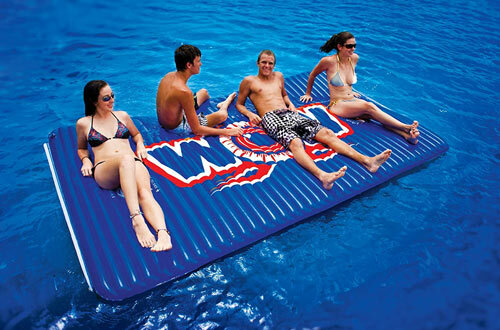 Has a high weight capacity of 440 pounds. 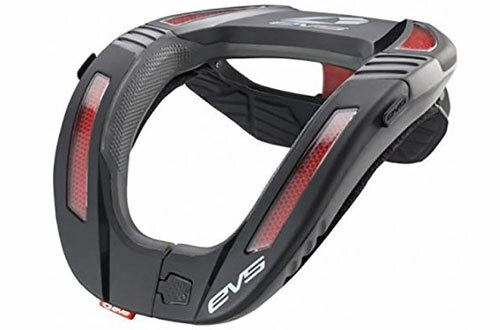 Made from heavy-duty steel, EVA and PVC. Wonder Core II allows you to do 12 types of workout. It targets every part of your body including your arms, core, leg muscles and more. 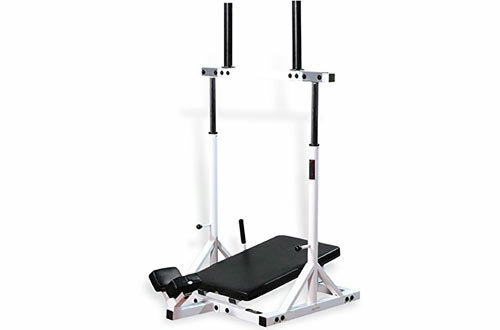 With this foldable leg press machine, you can perform crunches and go well beyond the horizontal 180-degree position. The backrest is adjustable and has thick foam pads to cushion your back from hard metal. It also has a high tension spring attached at the bottom to pull the backrest up every time. And it really allows the machine to move with your body. The cushioning foam also has a 360-degree field of rotation so that it doesn’t resist you in any way. Moreover, the backrest also allows you to adjust its length. Thus, you or any of your family members can use it with ease. The core pull rope is made from high-quality material. As a matter of fact, it doesn’t snap or tear up even after rigorous and intense workout sessions. The ropes are attached to handles which have a sponge pad on them to be nice on your hands. To your surprise, it is one of the few machines which have a dual spring action. Hence, it gets your muscles to work both when you go down and pull up. You also get ankle pads that cushion your ankles while you are exercising and don’t leave a mark. Finally, one can store it away in a compact space. So it doesn’t hog up your floor space when you don’t need it. Made from strong and durable steel. Parts of the machine that touches the ground have slip-resistant tube plugs to maintain a firm grip on the ground. The seat has leather upholstery and has good traction with your body to eliminate chances of skidding. It is twistable. 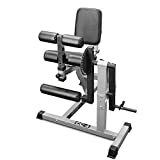 This machine is very invaluable for a workout since you can use this to get a thorough workout. And in fact, it will not be hurting your joints in any way. You can also get really fast workout session and target all your muscles without taking a lot of time. It has a very strong and heavy-duty metal construction and would last you for a prolonged period of time. With the Weider Ultimate Body Works you mostly workout with your own body weight. The machine is designed to get you in shape quickly without compromising your flexibility. Furthermore, it has a good metal structure. Hence it can support a lot of weight and at the too you get two bars for performing chin-up exercise. You can also adjust its incline to raise or lower the intensity of your workout. This really helps out in your body fitness journey. One you can slowly increase the intensity as you get more comfortable with the previous incline. The footplate has a nice solid build and the board on which you lie down is cushioned for your comfort. 4 tension cables can add up to 50 pounds of weight so that you can get a tougher workout routine. For the beginners, it also comes with a guide for executing every routine in proper form. 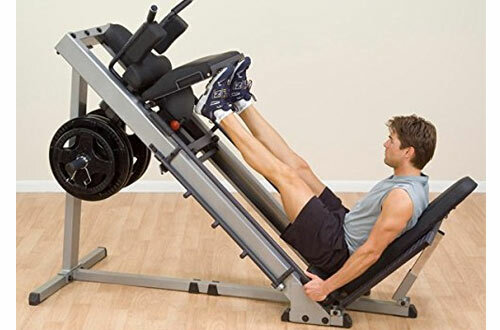 The leg press machine benefits in attaining a total of 7 incline positions. 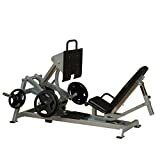 This is one of the most premium machines from Body Solid and gives you a full-fledged body workout. The most remarkable feature on this machine is its Quad Track Roller System which evenly distributes the weight and gives you a flowy operation. Featuring foot platform made of extremely heavy-gauge diamond plate, 11 gauge steel is used for benefiting the user. 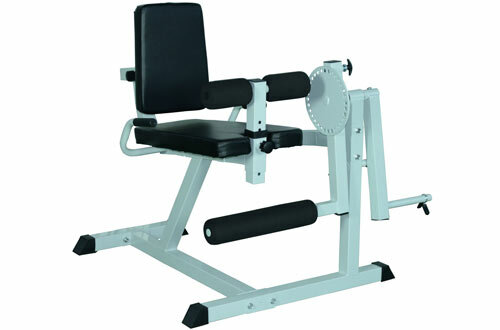 Plus, the heavy-duty leg press machine offers as many as 3 lock-out positions. 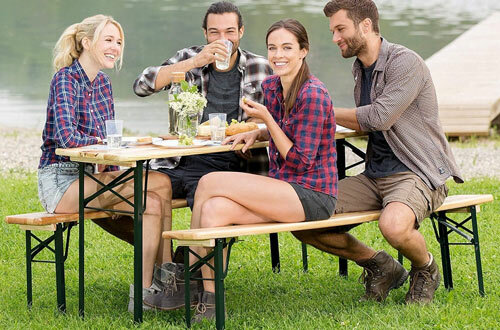 A weight carrying capacity of 1000 lbs, it also has Durafirm pads for extra comfort. You can lock the back pads with just a flip. The plate loading system is easily accessible since it is designed under the carriage. You can use the CC-4 for achieving perfectly toned and concentrated muscles on your legs. 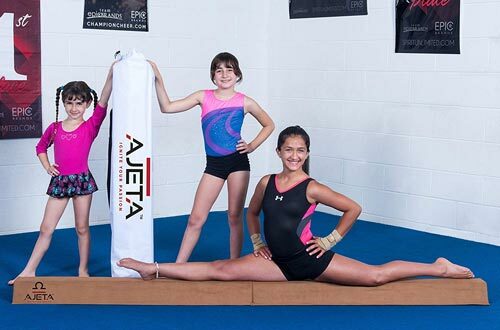 It also has 5 points of contact with the floor which gives you maximum stability. 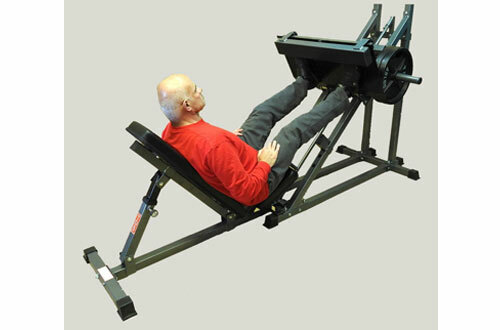 Having dual function while doing leg curl, you can enjoy the extension capabilities by buying seated. Thigh, foot as well as back, all of these are adjustable according to the size and height of the user. In addition to that, it has a steel gauge construction that indeed adds to longevity and sturdiness. In order to obtain the most comforting experience, the backrest is adjusted backwards or forward, as per requirement. Has a bearing capacity of around 200 pounds other than your own weight. The seat on this machine is padded adequately and has several foam pads on various components. Thus, it will not strain your knees, elbows or ankles. 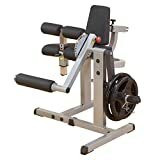 So you have a very comfortable experience while working out on this machine. The pop pins make switching the pads easier when you change your exercise. Having DuraFirm padding, one can experience supreme comfort as well as longevity even when involved in an intense lifting process. Furthermore, curl your legs or just carry on with your extension routines, all of that is doable in a seated position only. 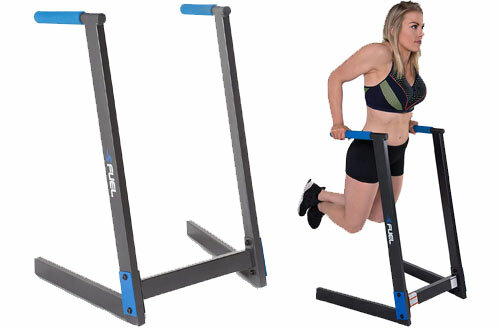 Install it for commercial purpose or use it in the home gym, it is amazing equipment. Made from heavy-duty and durable 7 gauge steel. Have multiple points of contact which makes it more stable and wobble-free than other machines. With a high load-bearing capacity of 600 pounds, the TDS mini leg press is what you want in your home gym setup. It has a bench which is designed to incline to 3 different positions. And you can also remove it when it isn’t required during an exercise. It certainly offers 3 positions carriage stop. However, the diamond plate has steel construction and is pretty large. As a matter of fact, the 8 rollers are steel chrome plated. Finally, the deluxe padding aids in a comfort workout session. Powder coating helps to keep the machine free of rust and any sort of corrosion. 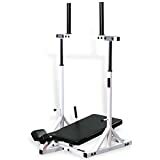 Body Solid has really made a great exercise machine with top quality materials and excellent precision. The main frame is made from 11 gauge steel which can take a humongous amount of load without any damage. It is powder coated by paint. Hence, it protects the surface corrosion due to exposure to natural elements like humidity or bacteria. 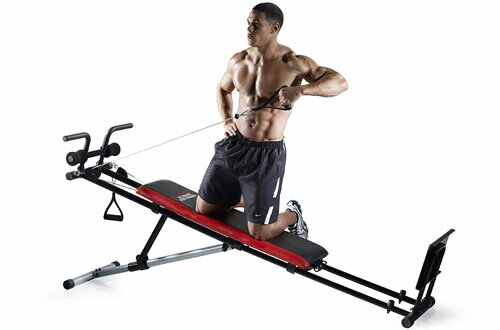 Any exercise machine is good as long as it can deliver smooth operation without getting cluttered or stick in between. This can break your flow and in worse cases lead to muscle cramps or injury. To achieve proper body alignment you can adjust the back support. You get the precise amount of resistance due to the direct drive press system. Promises a lifetime warranty from the manufacturer. You can put all your leg muscles including your hamstring and quadriceps through a super intense workout. This ingeniously designed machine from Yukon is indeed a product that will do justice. It has slides which are covered with chrome and this allows for a more fluid operation than other machines. Your head is also supported by a V-shaped cradle. Further, it well-cushioned angled backrest doesn’t allow for any back pain. Lastly, the narrow design is really space-saving. Comes with a lifetime warranty which goes to show the brand’s confidence behind their product. Its compact form factor saves a lot of space. It is used with both Olympic plates and standard plates. Keep your leg in shape and tone it properly. 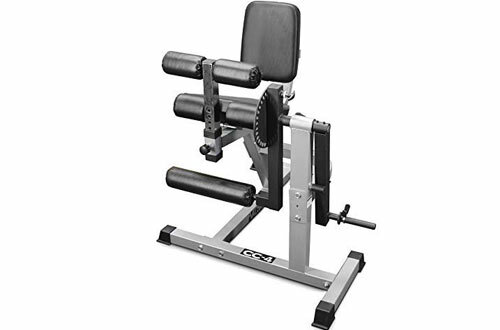 The leg press workout machines for sale will totally help you to accomplish your leg goals.